Do you come home from work after a long day and decide to have a drink to ease your mind? Do conflicts within your personal relationships cause you to want to smoke a joint? Perhaps thoughts of traumatic experiences from your past result in you wanting to take sleep medications to fall into a deep sleep? There's no denying that the traumas, heartaches, stresses, and demands of everyday life can sometimes get you down. When nothing seems to be going right it can often feel like you're worthless or partly to blame. Some may even feel as if life isn't worth living. You know these feelings are wrong, but you're not quite sure what to do about it (or you're aware but embarrassed to get help). Your solution: use substances for comfort, "pleasure", or to feel numb. It may seem right at the time. It may even provide some temporary relief. Yet what you don't realize is that you're covering up a bigger problem - mental illness. Self-medicating is a common practice used by individuals who feel emotionally overwhelmed to mask their emotions. Whether this is done with food, drugs, or alcohol, prolonged abuse of these substances can cause even bigger problems. To someone suffering from depression or anxiety, taking one drink, smoking one joint, or popping one pill to "feel better" shouldn't be cause for alarm. However, the opposite is true. When behaviors are repeated on a regular basis, it develops into a habit. Your body then adapts to this habit, develops a tolerance, and then requires increasing levels of the substances to "feel good", which results in addiction. Here's where the problem lies. Self-medicating provides only a temporary relief from their emotions and does nothing to resolve the underlying causes of those overwhelming feelings. It essentially causes more stressful circumstances that make it difficult to overcome. Thus, creating a vicious cycle. Treating or stopping this cycle means defining the underlying causes. Paying attention to the signs and perhaps exploring solutions like self-care, therapy, or TMS treatment can help you get off this devastating hamster wheel. Your go-to source when you're feeling stressed, depressed, or overwhelmed is using drugs or alcohol to cope. It's not something you do on occasion, but something you do regularly, sometimes multiple times in a day. You feel worse after abusing substances. The idea of using drugs, drinking alcohol, or smoking is to help "ease the pain" and calm your worries. The only problem is, their "feel good" properties are only temporary. If after abusing substances you find yourself feeling more stressed, depressed, or frustrated than before you used, this is dangerous. You get anxious when you can't use substances. Do you start to freak out if you can't have alcohol or drugs when you're feeling emotionally overwhelmed? This means you're developing a dependency. Your mind and body both believe this is what is necessary to make you better even if only for a little while. And when you don't get that, you start to go through withdrawal. Life keeps getting worse. Substance abuse and addiction create their own world of problems. You may have started off using because you were stressed about life, however, life is now impacted by your use. You may start to perform poorly at work, have problems with personal relationships at home, experience financial difficulty and a host of other things. Self-medicating is a temporary "fix" for a major mental health problem, it is not a solution for the underlying cause of your overwhelming emotions. It can quickly go from a source of relaxation and clarity to a road of dependence and addiction. If you're struggling with depression, anxiety, or addiction, there are treatment options for both. Dual-diagnosis treatments help to not only get you sober but help you to treat your mental health issues as well. 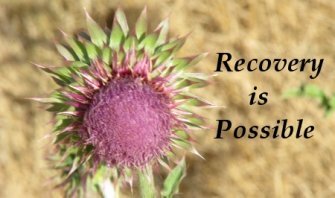 Getting help is the only way to restore your life and feel whole once again.